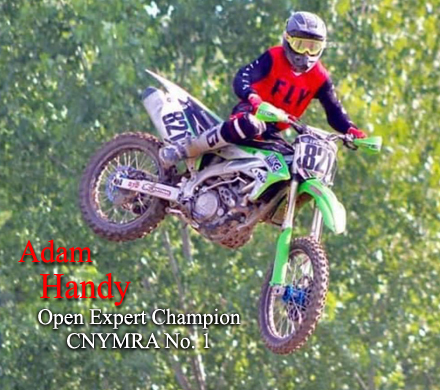 Central NY Motocross Riders Assoc. and $30 after March l.
A family membership cost is $65. to all online membership renewals. Mountain ATV Gift Card Program! Again in 2019, CNYMRA members will receive a $10 gift card for 12 select races. RMGC dates are listed on the schedule page. Race Gas cards will again be E-gift cards. Thanks Rocky Mountain! 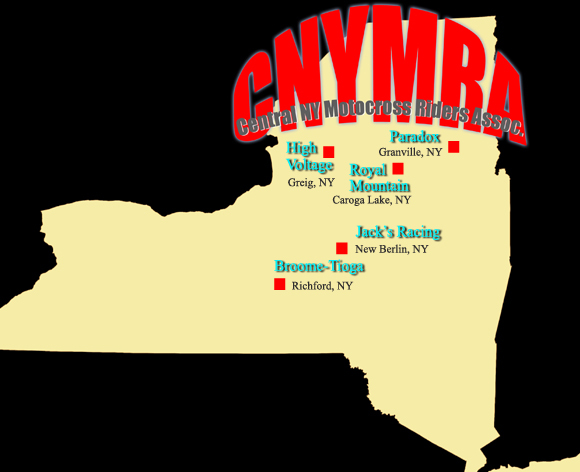 The 2019 CNYMRA race schedule is now posted HERE! It is with great sadness that news of Andy Bristol's passing is released. 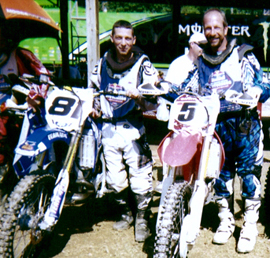 Andy was a great person and an incredible racing talent. He will be missed by everyone in the racing community! Condolences to all of his family and friends. Information pertaining to calling hours and his funeral are available HERE. The final 2018 points are posted HERE. The Annual CNYMRA Awards Banquet will take place Saturday, Jan. 19 at the Hart's Hill Inn in Whitesboro NY. Doors open at 4pm; dinner starts at 5pm. Tickets are $29 for adults and $21.50 for children 10 and under. Tickets WILL NOT be mailed. Pick up your tickets on Jan. 19, in the lobby of the Inn as you enter. Rocky Mountain Race Gas credits will be issued shortly. You will recieve emails with credits. 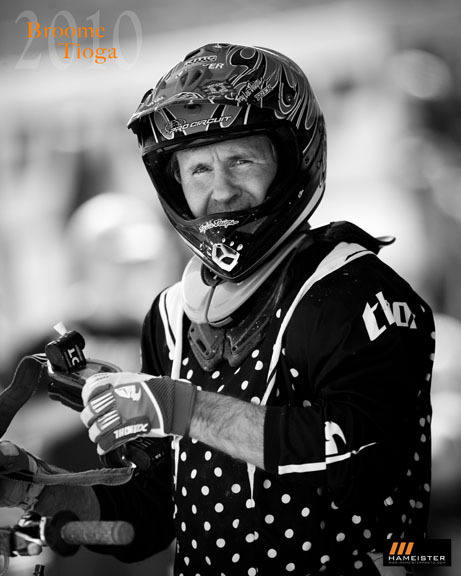 Parents of youth riders may call call 1-800-336-5437 to have a minor's account placed in a parents name. Please allow a few weeks for the emails. High Voltage will hold practice Saturday from 10am-2pm. Cost is $25/rider. They will hold a Pit Bike race following practice. Sign up is $15 to enter. The first CNYMRA race for the year at High Voltage takes place on Sunday! Signup begins at 7am with practice getting underway at 8.30am. Enjoy these MX events! The first 2018 CNYMRA Board meeting will at 7pm, April 10 at Grant Gastrom's residence. It is on Silver St. in Ilion NY. The 2018 CNYMRA RULES are now up. The 2017 CNYMRA Awards Banquet was a huge succes. It was attended by 300 racers, family members and track representatives! A huge array of awards and prizes found their way into racer and attendes hands!! Happy award winner Alissa Duncan and presenter, Quad #1 Jeremiah Birdsall. Thunder Ridge is now Jack's Racing! The old Thunder Ridge track is under new ownership and will now be known as Jack's Racing. The new crew is currently working hard on making impovements to the entire facility in preparation for racing in 2018! The 2018 CNYMRA race schedule with double point dates is now posted HERE. 2018 memberships are now being processed (see left column). Are you a NEW MEMBER or you do prefer to pay by check? Please print out and submit this Mail Order Form. Congtrats 2017 NY State Champions! 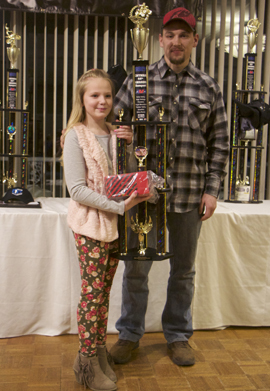 Congratulations to Madeliene Rose who represented CNYMRA well by scoring a 2nd place at Loretta Lynn's ATV Dirt Days in the 50cc Automatic 4-6 class and a 10th in the 50cc Open 4-8 class! 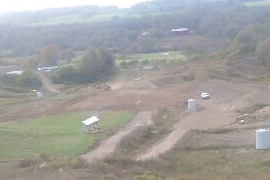 The Aug. 6 race scheduled for Thunder Ridge will now be held at High Voltage! High Voltage will also hold practice on Saturday, Aug. 5 from 9-2pm. The cost is $25 to ride. Practice at High Voltage Sat. High Voltage will hold practice from 9am-3pm on Saturday before their first big race on Sunday! Gate fee is $10, sign up is $30/$25/$20 for 1st/2nd/3rd class. All 50cc are $20. This is a Double Points race; we'll see you there! Practice at Echo Valley Sat. Echo Valley will hold Practice on Saturday. The cost is $20. On Sunday they will offer non-experts sign-up for a third class for only $15! Updated CNYMRA points as of May 12 are posted HERE. The April 30 race will now be held at Echo Valley! High Voltage regrets that it won't have the permit needed to hold races by April 30. It plans to hold its first race on June 25 with a Double Points race. The 2017 CNYMRA schedule is now posted HERE. If you like fantasy sports check out this brand new on-line game, FireFan.com! There is no cost and jutst playing generates donations to our district. Sign up here: https://www.firefan.com/?code=cnymra to benefit CNYMRA! The hope is to generate additional funds to go toward future series and banquet awards!